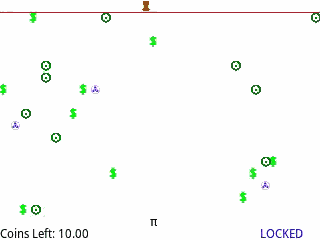 Description: Simple game where the objective is to collect dollar signs (coins) to unlock the boundary at the top of the screen to allow access to the goal. Trees block your progress. Avoid the purple foes at all times, one touch and it's over! One purple foe jumps around randomly while two fly horizontal.